The work of the global mission committee is focused on places in the world where education is an essential part of peace-making, but lately the mission has expanded to include efforts in the United States. 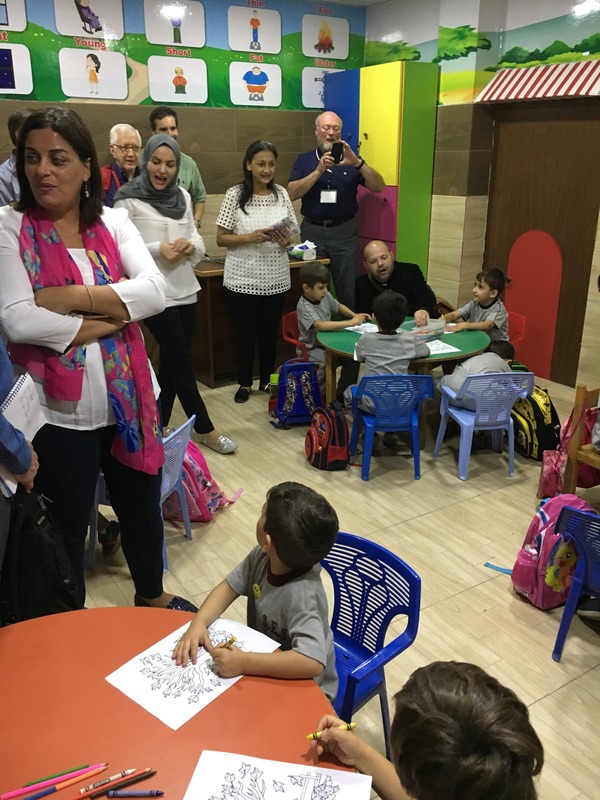 St. Alban's has long-standing connections with schools in the Middle East and Africa, and is building relationships here at home with immigrants and refugees. This year, St. Alban's gave its largest donations ever to the Hope and Resurrection School in South Sudan and the Saviour's School in Jordan: $21,500 each, for a total of $43,000 (last year’s total was $38,000). Our gifts, largely raised through the annual Gala dinner and auction, has kept girls in school through scholarships, funded faculty positions in South Sudan and purchased Braille machines in Jordan. The Rev’d Debbie Kirk started working part-time this year with CASA de Maryland, protecting the rights of local immigrants and monitoring the rapidly-changing legal landscape for people who are claiming temporary protected status or asylum. This has been a major change in St. Alban's response to the needs of the local immigrant community. A representative from St. Alban’s has been attending the Cathedral Sanctuary Committee meetings, and three parishioners have been making weekly visits to a Syrian refugee family, successfully helping them apply for their green cards, attend medical appointments, and more. This year, St. Alban’s also delivered eight Ramadan gift baskets to Syrian refugees on behalf of the Muslim Women’s Coalition. This year, we sold more than $4,000 in olive oil products for the ecumenical Olive Oil Ministry, which had total sales of $40,620. The group’s profit of $19,000 was almost identical to last year’s; $17,000 was contributed to the Tent of Nations and $2,000 to Interfaith Peacebuilders (for pilgrimage scholarships). Twenty local congregations are currently participating in this ministry. We sponsored a three-part forum series on global mission and we worked with Children’s Chapel to teach the kids about our overseas schools. We also hosted a Cristosal Foundation educational event on the El Mozote massacre. We participated in: the Interfaith Unity Walk, the Bethlehem Simulcast Service, a First Wednesday dinner, and the Voices from the Holy Land Film Series. To learn more about the work of global mission and to get involved, contact Lisa Sams.